Siding Removal Process: Is it Necessary to Remove All Old Siding? Sometimes it’s obvious that your whole home needs a siding update. If your siding is aging, cracking, or falling down, it’s time to get out the siding brochures, because you typically need to spring for a complete replacement. But let’s say your siding is only a year or two old, and seems to be in great condition beyond a few boards. Or maybe you just want to replace a small section or one wall. Do you have to go with a total replacement? Does all the siding have to be removed? The answer, in most cases, is no. Partial replacements, patches, and repairs are not unheard of in the siding industry. That means you don’t have to pull down all the siding on your home when you get one little crack or damaged section. However, you shouldn’t use a patch as a stopgap for siding that really needs a repair. Here’s what to look for—and how to decide whether to replace siding piecemeal or have your whole home done. How Do I Decide Whether to Replace or Repair? 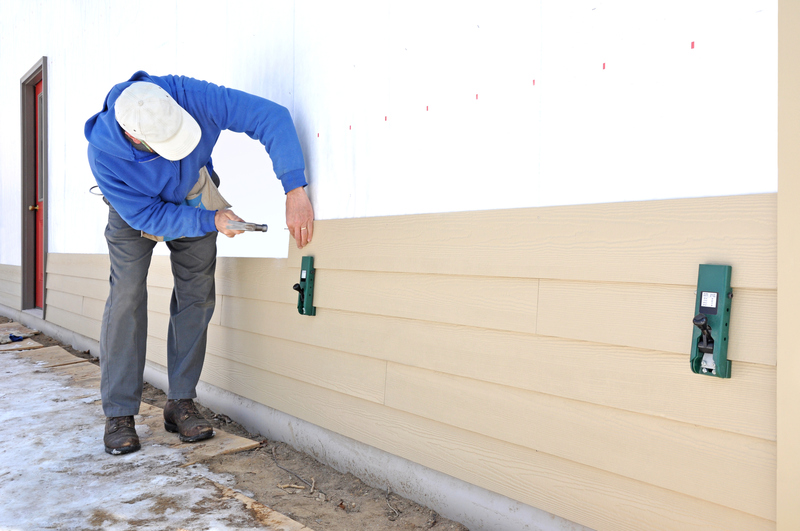 You can learn a lot about your siding just by giving it a once-over. Regardless of the condition or age, it’s a good idea to visually inspect your siding yourself about once or twice a year—and particularly if you suspect that a falling branch or hail storm or other event may have caused some wreckage to the sides of your home. Mold and Fungus: Mold and fungus aren’t easy to contain. In other words, if you can see some mold, it’s likely that there is more lying under the surface of your boards. In most cases, you can consider any sign of mold an indicator that a total replacement is imminent. Warping and Rot: If you notice rotten or badly warped wooden boards, it’s probably time for a replacement. Both conditions can indicate that you have a problem with moisture, meaning there could be mold or more rot hiding below the surface. 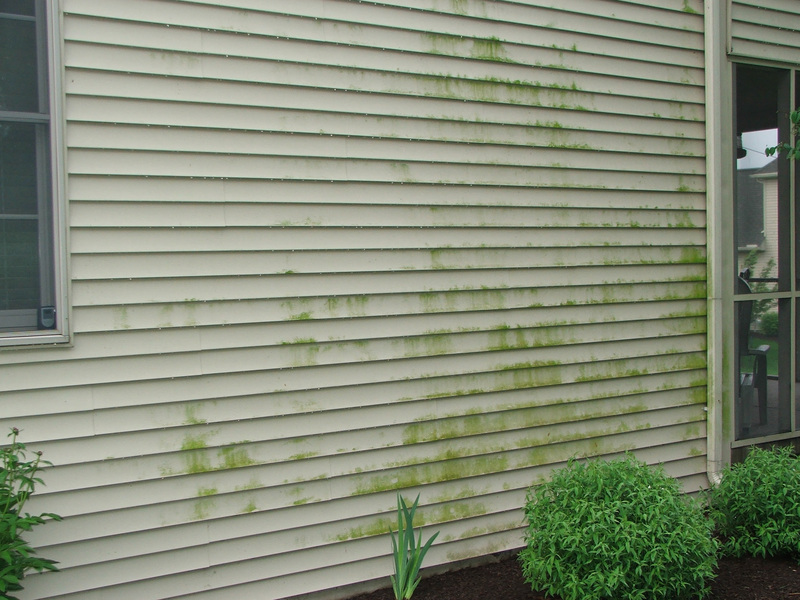 If your boards are painted, it may be difficult to see rotting surfaces with the naked eye. But you can look for it using this test: take a screwdriver and push it gently against the wood cladding on the sides of your home. If it feels soft, it’s time for an immediate replacement. Cracked or Broken Boards: If you notice one or two cracked boards, you’re in luck. This situation can usually be handled with a simple replacement. However, multiple cracks all over your home is a sign that the siding is fading, and it may be a smarter idea to just get it all replaced. Excessive Fading: If the majority of your cladding is faded, there’s obviously no repair in the world that’s going to help that. It can be difficult to match faded siding with new boards, especially if you have colored vinyl, fiber cement or Hardiplank siding. Holes in the Siding: Holes can indicate a couple of different problems, but if they’re round and regular, you can usually point the finger of blame squarely on one culprit: pests. Woodpeckers drill large round holes into siding, particularly cedar shakes. If you have a woodpecker, you can probably replace a single section of the siding and be fine. Homeowners often confuse these holes for the ones made by carpenter bees, however. Any insect issues need to be handled first with a professional pesticide application—and then you may need to replace, depending on how extensive the damage is. Bubbles in the Siding: Bubbling siding means trouble is brewing on the surface of your home. These noxious little flaws usually indicate that there is moisture trapped below the boards—and that’s definitely a case for the pros. You never know what’s lurking beneath those boards. In some cases, your siding manufacturer may cover replacements, damages, and other problems. The breadth of the coverage depends on the brand and how extensive their plan is, but some do cover repairs in the case of excessive fading, hail damage, and other incidents. It’s at least worth checking before you fork over the cash for a replacement on your own. In general, though, a siding professional can help you understand the quality of your existing siding—and how extensive your repairs need to be to help your cladding pass muster. If they do call for a complete replacement, however, your contractor and his or her team will remove the siding in sections as they work. That way, if the job extends across multiple days, you won’t have your home’s inner workings exposed to the elements—and your siding can get back to doing what it does best: protecting your home.